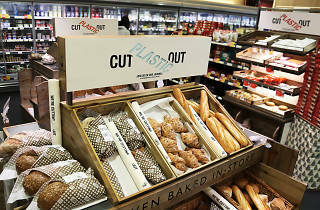 As the global war on plastic gathers momentum, a north London supermarket has become among the first in the world to introduce plastic-free zones in an effort to make ethical shopping easier. 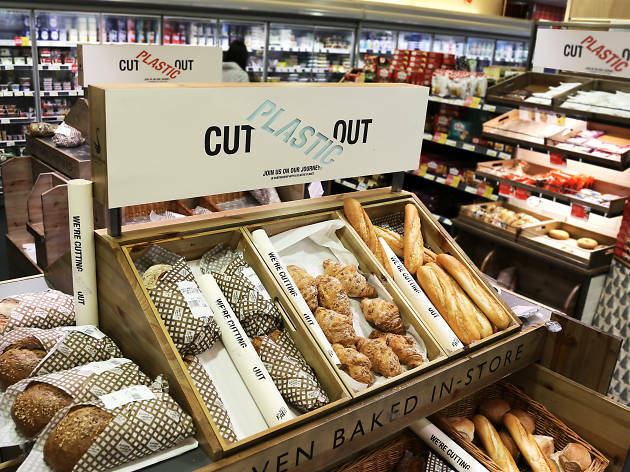 Thornton’s Budgens store, which is based in Belsize Park, has ditched the plastic used for over 1,800 items, replacing the product with more environmentally friendly options. Our first product we're showcasing is more than just a product, it's a whole section. It's our special veg section. The entire transformation took less than ten weeks, and the team celebrated their new look with a launch do at their store this week. Working together with the campaign group A Plastic Planet, Budgens now uses products like beechwood netting to wrap fruit, glass bottles for milk, and wax paper for fish and cheese. But the team don’t want to stop there: founder Andrew Thornton is now challenging the supermarket giants to follow suit. It looks like the ethical weekly shop is slowly getting easier – let’s hope more supermarkets will say ‘that’s a wrap’ on plastic. Looking for more sustainable shopping options? Check out our sustainable living guide here.